First let me start out by saying that I think everyone should own a rent house. There are a lot of headaches but the long-term benefits are great. But what about renting out your personal home? Is that a good idea? Here is a classic scenario. A young couple wants to sell their starter home and move into a bigger house. Their house is in great condition and they have built up some equity over the years. They owe $80,000 and the house is worth around $100,000. They rent their cute little house out for $1000 per month and that covers their payment of $800 and leaves them $200 left over each month. Everyone is happy. Fast forward three years down the road and the picture is not so bright. They have gone through four tenants in a three year time period. Two had to be evicted. Their house has been destroyed multiple times. They have spent nights and weekends painting and making repairs every time the tenant moved out. They had to replace a sewer line and an air conditioner condenser. In other words, they are broke and tired. So they decide to sell. The problem is that now their house is no longer worth $100,000. Now it is worth about $75,000. So they will have to either completely remodel the house or sell it for a loss. Neither of which they are excited about doing. It is usually a terrible decision to make your personal home into a rental. It is much better to sell it while it is in good condition. If you have lived there for over two years (one year for fist time home owners) you will not owe any taxes on your gain. This in and of itself is reason enough to not convert your home to a rental. If you want to get into the rent business find a house that is best suited for those purposes. When you have a chance to sell your personal home, take the money and run! If you have a house that you are thinking of selling give me a call at 806-359-7653 or visit me online at We Buy Amarillo Houses. 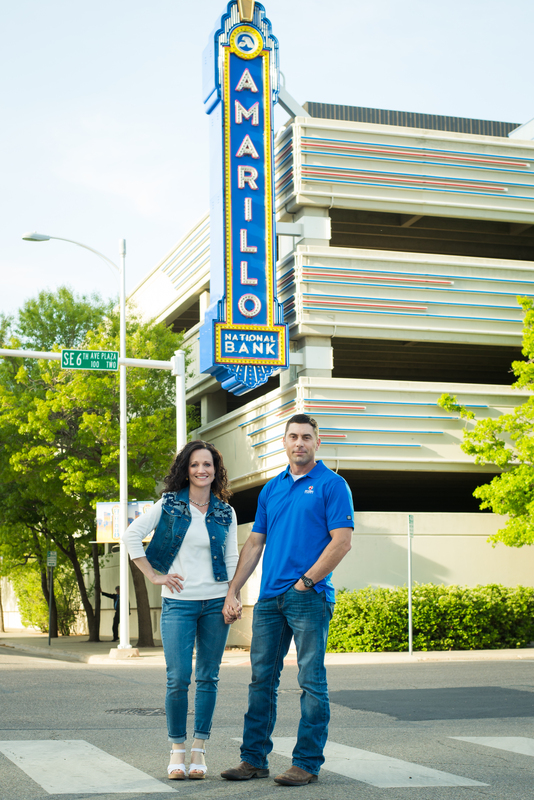 Are you looking for someone in Amarillo who buys houses? Someone who buys houses fast and in any condition? If so then give us a call! We have been buying houses in Amarillo for the last 15 years from people who do not want to wait for 6 months while a Realtor tries to sell it. Most of the houses we buy need work but we also buy pretty houses too. Especially if the house needs to be sold fast. We are very easy to work with and we can give you references if you want. It all starts by you picking up the phone and calling. We will ask you a few questions to make sure we are on the same page. Sometimes we can even give you an approximate offer over the phone. Other times we will come take a look at your house and give you an offer in person. If you decide to take it we can close as soon as you want. We pay all the closing costs and take care of all the paperwork. It’s that easy. Do you need to sell your house fast? Like yesterday? Does your house need work? Do you hate the thought of working with a Realtor for six months and not knowing for sure if your house will end up getting sold or not? If so, you should call us! 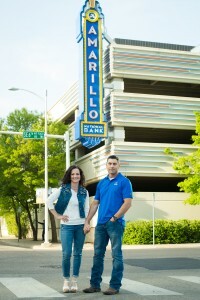 We are a husband and wife team in Amarillo TX. We would like to buy your house! We buy Amarillo and Canyon houses from people just like you every single month. We are very easy to work with, and we offer fair prices on the properties that we purchase. Because we are investors we have to buy your house at a price that will allow us to remodel the property and sell it for a profit. But when you compare our offer with what you would actually walk away with if you were to list with a Realtor you will see that our prices are very fair. We pay all of the closing costs and take care of all of the details. We buy your house in it’s as is condition, so you don’t need to fix anything or even clean anything. We can close in as little as 3 days if you need us to. Well 2012 has come and gone. We hope that it was a good year for you and your family. We encourage you to take the time to look ahead at the year to come. Ignore all of the distractions and focus on what is important to you. 2013 will only come around once. Make it count! If you need to sell your house in Amarillo give us a call. We are ramping up our advertising and we plan on buying more houses than ever. That means we need your business. This is a great time to sell your house! Why Sell Your Amarillo House to a Real Estate Investor? That is a really good question! If I needed to sell my house I think selling to an investor would not be the first thing that would come to mind. I would think about calling a Real Estate agent or selling the house on my own. Here is the problem with both of those ideas. First off, let me say this… If your house is in good condition, in a good area, AND you don’t mind waiting for up to six months for it to sell then using a Real Estate agent may be a good idea. But if you don’t fit all three criteria then you may be wasting your time. If your house needs work, if it is a less than desirable neighborhood, or if you don’t want to wait for months to sell then you should consider working with me. When you list your house with a Realtor you will usually have to pay a 6% commission. You will also pay about 1% in closing costs plus, and (this really stinks) you will need to be ready to pay at least 3% in buyers closing costs. If you are not willing to do this you will probably not sell your house. Most of the buyers do not have the money to pay closing costs. So you will probably lose about 10% of the sales price. Buyers will also get the house inspected and give you a big list of repairs that need to be made. They will also negotiate the price down as much as possible. It is important to keep these things in mind. The bottom line is that if you use a Realtor you will have to pay some fees and commissions. This will greatly lower the amount you net from the sale of your home. And it may take several months to get it sold using a Realtor. I can close in 3 days. If you compare my cash offer with what you actually walk away with if you use a Realtor you will see that my offers are pretty darn competitive. It’s the bottom line that counts, not the contract price. So what about selling it For Sale By Owner. The short answer is that it is not a good idea. I list every house I sell with a Realtor. Realtors have all of the buyers. They also are able to list your house on the MLS which give it much more exposure than you ever could. Several years ago when the market was hot you could sell it on your own, but not in this current market. If you are able to pull it off you are still going to pay closing costs and make repairs just like you would if you used a Realtor. So even though the contract price may be higher than my cash price you will not come out that far ahead. And, just like I mentioned before, it may take six months for it to sell. Add up your house payment, insurance payment, and monthly taxes and deduct that from the amount that you will net. See what I mean? Many times people call me months after I have made them an offer and tell me that they wish they had taken my offer. They ended up selling it to a home owner but after they realize that they netted the same as they would have if they had taken my offer they are just sick. Sometimes I end up buying the house for the same price that I offered six months earlier. Close on whatever day you want. You are in complete control of the closing date. Take the property as-is. You don’t have to fix or clean ANYTHING. Pay all of your closing costs. This saves you a ton of money. Take care of all the details and paperwork. There is no stress for you. If you are serious about selling your house give me a call today at 806-359-SOLD (7653) or visit my website at Sell Amarillo House.